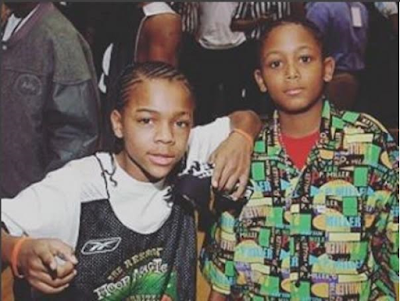 Master P's son, Romeo Miller popularly known as Lil Romeo back in the days came to his Instagram page today to confirm the age-long belief of fans and the media that he and Bow Wow didn't get along while growing up because Bow Wow always saw him as competition. According to Lil Romeo, who Bow Wow has dissed in the past, he never saw Bow Wow as competition but rather as a big brother and he remembers all the late nights the both of them spent growing up together with Chris Brown. 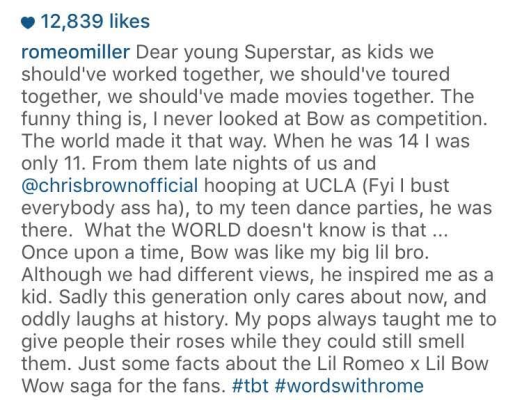 Read his post on Instagram after the cut.